Hi guys. Hope you're all having a good Monday? We all love quick and simple recipes for this time of year right? For those times when you just want to hunker down, stay all cosy indoors and munch on some hearty soup and bread. 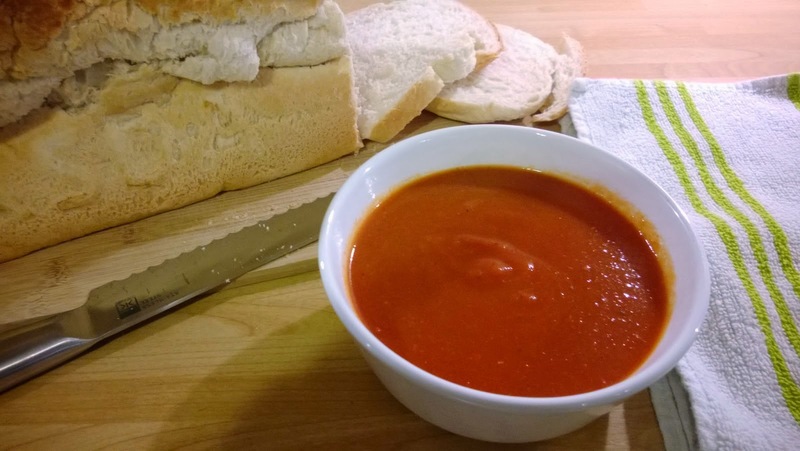 Well, I made my sweet potato and red pepper soup at the weekend and wanted to remind you lot about it. It's so quick and simple, you just have to make it. I actually did a recipe post last year so I'm not going to type it all out again, if you click here you'll be taken right to the recipe, although please excuse the poor quality photos, it was early days for me back then and things have moved on!!!! I'd love to hear what you think if you get the chance to give it a go. Do you have any good home-made soup recipes you'd like to exchange?